The 129th regular meeting was held on Saturday, 15 December. 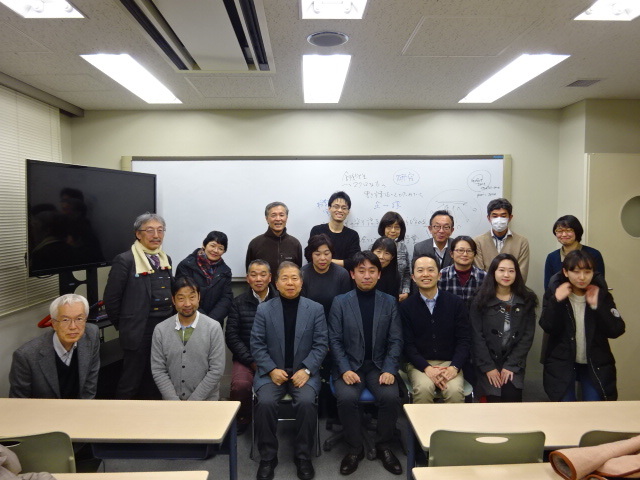 It was held as an open seminar where a dialogue between Prof. Ishii Hidemasa (Kyoto University) and Prof. Watanabe Takahiro (Tokyo Gakugei University) took place. The theme was ‘researcher-teachers x reflective teachers’. They talked about how to train teachers who will go beyond merely covering a given syllabus so that they can think on their own, practice the ideas and reflect on the practice. Having studied under the same professor at Kyoto University, both academics are the best friend of each other on the personal basis, but they did not hesitate to criticise each other as scholars. Their earnest conversation fascinated the participants. This entry was posted in Regular Meetings on 15/12/2018 by staff.